I am not usually a big fan of collage. This is not to say there are exceptions. Here is one exception, which is the artwork by Beatrice Alemagna, children’s author. (in this case for her book A Lion in Paris). You will be delighted by these illustrations. Published by Tate (e.g. the art gallery of London). 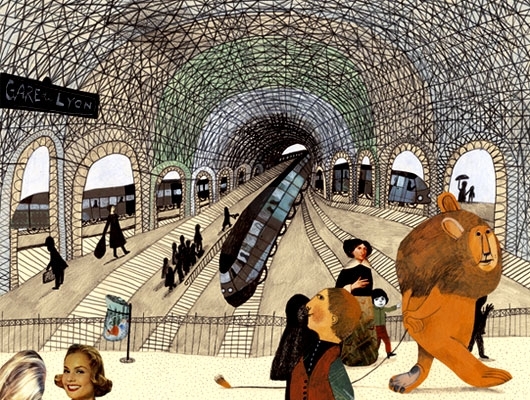 This entry was posted in children's art, children's books and illustrations and tagged art, Beatrice Alemagna, children's books, collage, illustration, Paris. Bookmark the permalink. I can see why you like this. I love the lion, he’s quite a whimsical figure isn’t he?